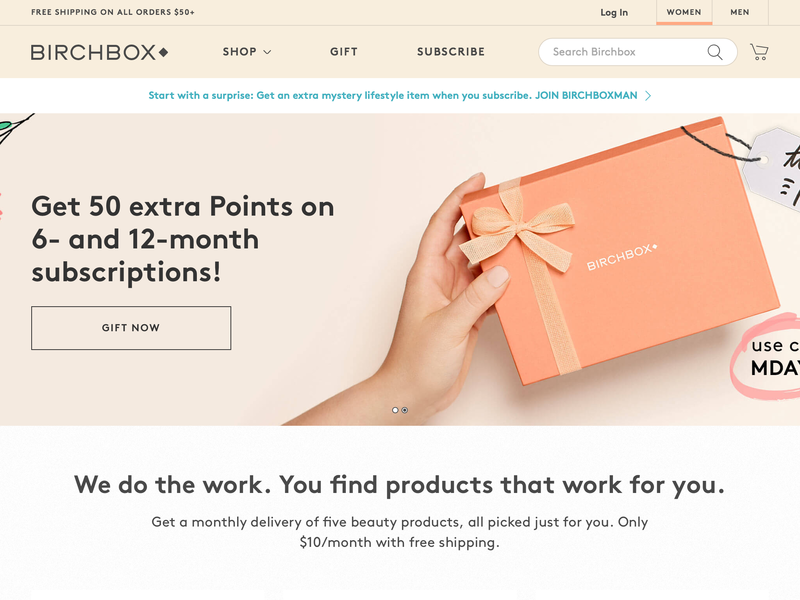 2016 was a hard year for beauty product subscription startup Birchbox. The company had to lay off many people last year and change processes, but according to the company, it payed off and Birchbox became profitable. This is pretty much just PR. Without seeing the numbers, we can’t know what kind of ‘profitable’ we’re talking about here. And Brichbox, after last year, really really could use a turnaround narrative. So take all this with the appropriate amount of salt. Beauchamp called the past 12 months a “retraining,” with the New York-based business shedding 30% of its U.S. staff and cutting out tens of millions of dollars in costs, including overhead, marketing spend, and logistics. December was actually the best acquisition month in our history, and the reason is because of strict prioritization that allowed the team to focus energy and realize big outcomes. One key example of this was prioritizing mobile (something we always said we did, but this time we made real tradeoffs). Mobile had already grown to account for over 70% of our traffic and half of our revenue, but our technology and product teams knew that improving conversion there would be hugely important to our future. Over the course of a few months, they re-architected the mobile site to improve speed, performance and design. The results were phenomenal: mobile transactions surpassed desktop, and conversion on mobile improved 35%, saving us millions of dollars in acquisition costs. Another area of prioritization was self-subscription. Typically our holiday focus is entirely on gifting, but we decided to put new efforts in place to encourage and capture customer demand to shop for themselves too. We saw the same velocity of gifting, but drove a 35% increase in self-subscribers from holiday 2015, and a 60% increase in people signing up for annual subscriptions (a full year of Birchbox instead of the monthly rebillable subscription). We recently invested more resources in customer research to refine our vision for the Birchbox product evolution, and their insights helped us launch a beta version of Birchbox Select last month. Subscription businesses, as diverse as Dollar Shave Club (razors), Blue Apron (meal-kits) or Rent the Runway’s Unlimited service are tricky -for the most part we see new company categories emerging here- but also potentially very lucrative as they’re better in getting some (recurring!) jobs done. Nail subscription and you gain a built-in flywheel.